Once upon a time there was a little AI. The little AI didn't know what to do with his base, so he always sold everything. After a while, a wise Dutch fellow came by and teached it how to build a base. It also teached it how to build some units and attack other AI's. The AI learned and did what it was learned. 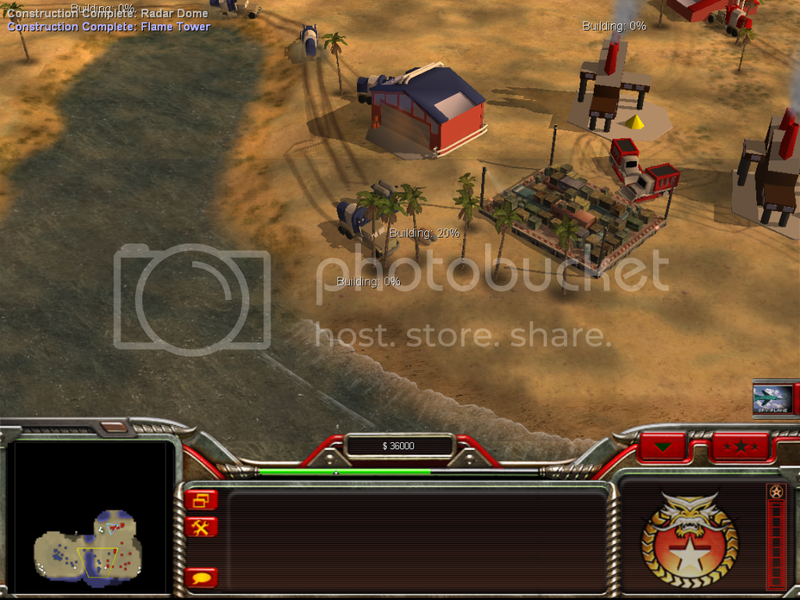 But after some time the AI got stuck; it kept being overrun when it didn't had any units in its base. It knew it had base defences, but some how, it couldn't build any. Then a American fellow came by, and teached it how to build SAM sites. This didn't help AI much, as most of the time danger came from the ground, and not the air. It kept being defeated, until the Dutch fellow came by again. It had found a little trick, and learned this to the AI. Note: I'm red, AI is blue, it has build a Flame Tower behind the tree and is constructing 2 others in front of it. Many thanks to n5p29 for telling me a little secret that saved the AI! Nice, I'm looking forward to tear it to shreds. And then the AI started spaming huge numbers of units against his teachers. Hilarity ensued. Im using the invasion confirmed new year edition and i found out if you destroy the enemy's workers then damage their base, the ai will run.